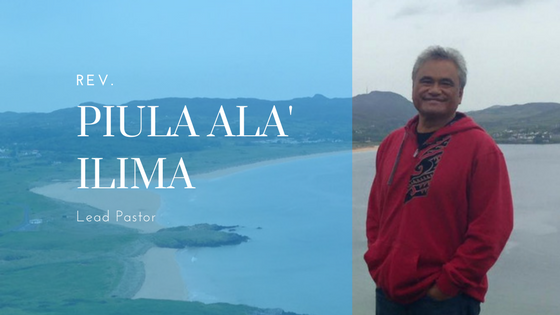 Welcome to this website introduction to our Wesley United Methodist Church Ohana. We are a rainbow community of diverse cultures, traditions, backgrounds, generations, perspectives. Together we celebrate our Beloved Community, grounded in God's all-inclusive Spirit, and all-encompassing Love. We invite you to worship with us -- as we encounter God's creative presence, engage the life-giving power of the Spirit, embody the fullness of Christ's compassion, and employ the sacred call of our Christian faith to love and to serve. We look forward to meeting and welcoming you. Joy Yun and her family, Pastor Joe and their children Joey, Kaitlyn and Audrey, have been part of our Wesley Ohana since 2016. (Pastor Joe was appointed director of Wesley Foundation campus ministry at UH in July 2015). Joy felt a strong calling to pastoral ministry and was moved to pursue seminary and eventual ordination. She became coordinator of our children’s ministry, and enrolled in the Master of Divinity program at Claremont School of Theology. She did both simultaneously since last September 2016. This summer Claremont approved Wesley UMC to be the setting for her seminary “field education” — under the direction and supervision of Pastor Piula — starting this month of September through June 2018. Joy will continue her leadership with our Keiki Sunday School, and will share in preaching, teaching, accompanying Pastor Piula on hospital and home pastoral visits, involved in ministries with youth and young adults, congregational care and nurture, community outreach, and communication. Please welcome Joy — and embrace her with our support, encouragement, partnership and prayers — as she practices pastoral ministry with us. Vanessa Tom has been part of our Wesley Ohana since June 2015 when she came on board as our Church Secretary. For a brief period of time, Vanessa assisted in the Children's Program in the Infant and Toddler Room but is now back in the office. She and her family, Kalei and son, Ethan, currently live in Palolo. When they are able to go on vacation, they enjoy flying up to Minnesota and going to the state fair, eating and enjoying the outdoors. While in Hawaii, she enjoys spending time with family and friends. Billy Henson, has been our Preschool Director for almost 30 years. His attention to detail, administrative mind, love for kids, and personable nature has made Wesley Preschool one of the most well known early childhood education centers in Honolulu.